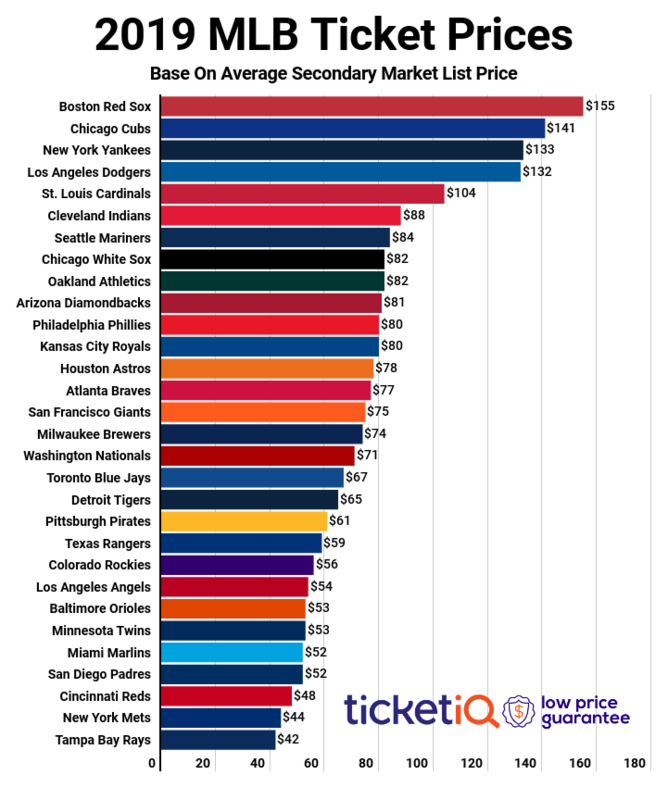 According to TicketIQ.com, the average list price for a Cubs ticket on the secondary market this season is $179, which is up 13% since the Darvish signing. That price is nearly identical to the average price in 2017 ($180), and it's the second-highest of the decade. Darvish, a four-time All-Star, signed a six-year, $126 million deal with the Cubs in early February. Darvish made his U.S. debut in 2012, when he played for Texas Rangers. Prior to that, he was considered the best pitcher in Japan. Despite Darvish not even being slated to pitch, Cubs Opening Day tickets on the secondary market have risen 26 percent (from $235 to $297) in the last two weeks as well. While the cost of Opening Day tickets has gone up, it remains below last year’s cost of $308. 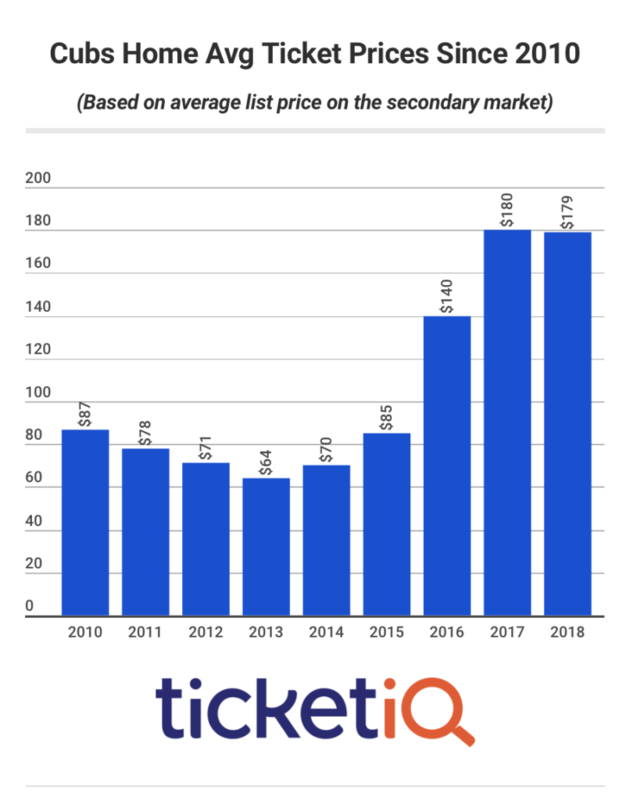 That was the highest Opening Day ticket this decade and was also the Cubs first home game after winning the World Series in 2016 – breaking a more than 100-year-old drought. The $140 average for that 2016 championship season was the third most expensive of the last decade for the Cubbies. Between 2015 and 2016, the price jumped considerably – from $85 to $140 – four years after wunderkind Theo Epstein left the Boston Red Sox to help the Cubs break their curse. The cheapest season to see the Cubs during the last decade was in 2013, when it cost an average of $64 to get into Wrigley and the team went 66-96, failing to qualify for post-season for the fifth consecutive year.